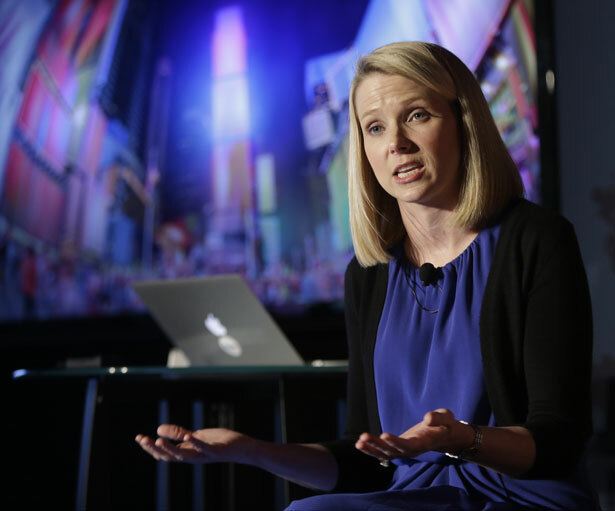 Yahoo isn’t buying the blogging service for its profitability. It’s buying it for the advertising possibilities. I have nothing against the folks who created Tumblr and managed to get Yahoo to bid a whopping $1.1 billion this week to buy the company. More power to them, I thought as I attended the event they helped sponsor Monday night for winners of this year’s Webby Awards, one of which—best political site—went to Truthdig, the online news magazine I proudly edit. But as I mingled with my fellow honorees, there was a pang of concern that I would like to think is not driven by jealousy. Sites like ours, even when they are hooked to established news organizations, are starved for funding to pay for the journalism they provide. Others do spectacularly well, less because of the eyeballs they attract than for the personal information their readers freely give up that is desired by potential advertisers. That is the appeal of Tumblr, a six-year-old social blogging service that has yet to earn much money because it has shunned advertising, thereby gaining the trust of its users who willingly share massive amounts of private data. Tumblr’s CEO told the Los Angeles Times in 2010 that he was “pretty opposed to advertising,” but Yahoo undoubtedly has other plans. This is an advertising model well understood by Yahoo CEO Marissa Mayer, who took over the troubled company last summer after thirteen years of exploiting such data at Google. The enormous success of Google, and the main model for business success on the Internet, is that of data mining. The societal cost of sorting through people’s most personal information with abandon is the end of the very notion of privacy so basic to the functioning of a democratic society. That the very tools of data mining developed to track consumer habits could also be used to sustain totalitarian thought control was conceded in a recent book, “The New Digital Age,” by top Google execs Eric Schmidt and Jared Cohen. Although Schmidt and Cohen aptly sound the alarm concerning the power of totalitarian rulers employing supercomputers to mine the vast troves of Internet stored data as a mechanism of control, they ignore the domestic parallel. Why restrict that worry to those with totalitarian intentions abroad? It is now established law that the various branches of government in our own country can all too easily access the data collected by commercial enterprises. A generation high on the false intimacy of the Internet need no longer be coerced by government spooks to relinquish its privacy. Instead these folk readily allow others to trace their movements, purchases, reading and viewing practices as well as contacts with friends and associates. That is the data that Yahoo and rivals are so eager to mine, but they also expect to exploit that information with only the most cursory grant of permission from the customers furnishing it. This business model would grind to a halt if a form of opt-in, as the European Union is now considering, was required before data supplied to one outlet, say Tumblr, was shared with other prying eyes, be they of corporate or government entities. As it is, sites such as Tumblr and Instagram became popular because they appeared to bestow a measure of privacy by not offering advertising. An aggressive ad program of the kind Yahoo needs to recoup its investment could fatally alienate Tumblr’s core constituency. But shredding privacy is the essence of Tumblr’s appeal to Yahoo, and even though it has said it will retain the social networking site’s founders in key positions, one way or another that very personal data will be mined and inevitably fall into what users will discover to be the wrong hands. That is truly scary, for private space is the necessary incubator of personal freedom. Maybe we at Truthdig can win another Webby by writing about this. Read Robert Scheer on Senator Elizabeth Warren taking on the big banks.